◆Summary Welcome to Gedonelune Royal Magic Academy! This is the most prominent yet, mysterious academy in wizardry world, with full of fantasy, adventure, and love romance! You, as a provisional student, learn about magic, and use of magical items as you meet the unique classmates, dormmates, professors and magical creatures. You challenge the trials either to become an official student or the Prefect, the student representative. 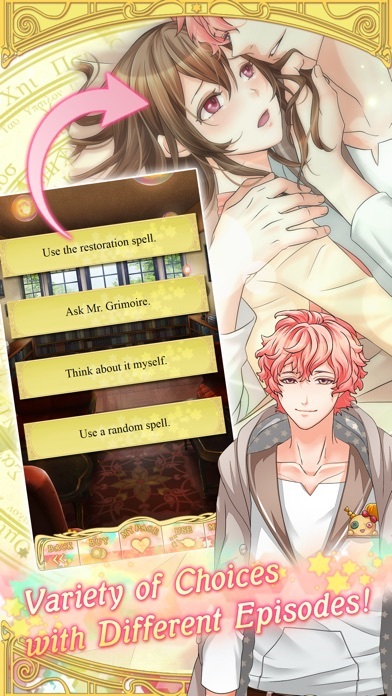 Meanwhile, you face the dozens of mysteries, such as the vasty underground labyrinth, revealing of the Night Class, the spring of unicorns and so on.... You unveil the mysteries with your love interests, which is the key to deciding your fate. Those thrilling and adventurous stories will never cease to surprise you. Now, get your wand ready for the incantation! The wizarding world awaits you! ◆NEWS Wizardess Heart welcomed the 4th year. 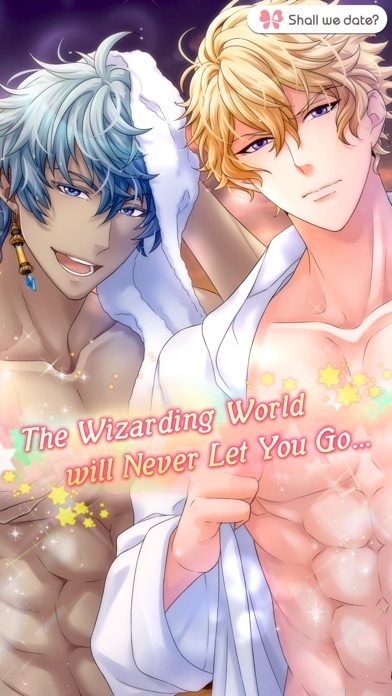 The app is consist of six seasons with total of fifteen handsome wizards. Adorable magical creatures make appearances in each season; they will surely make your academy life more enjoyabale and exciting. ◆Features◆ ●FREE to download. ●FREE Story Tickets to be given. ●Beautiful illustrations and great music. ●Many different options available for boyfriends. ●Ranking system to compete your look. ●Story endings vary with your choice. ●Amazing selection of avatar items. ●Fun events and special rewards. ◆About Us◆ NTT Solmare is a company based in Osaka, Japan. We strive to make the best dating sim games. 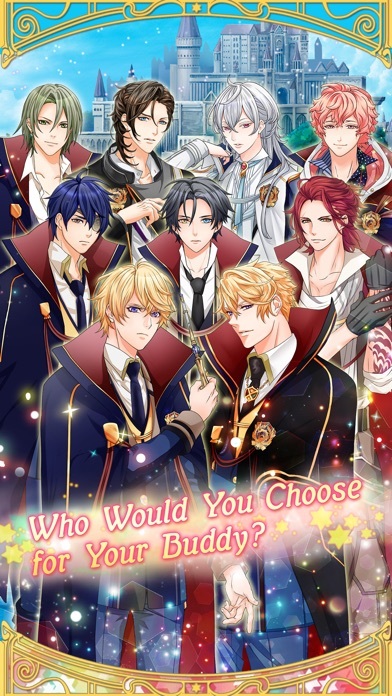 If you like romance novels, cute boys, and/or anime then you will love our games. Our Shall we date? titles have over 23 million downloads worldwide – try one of our FREE games today to find out why we are so popular! I love this game it is one of my favorites. 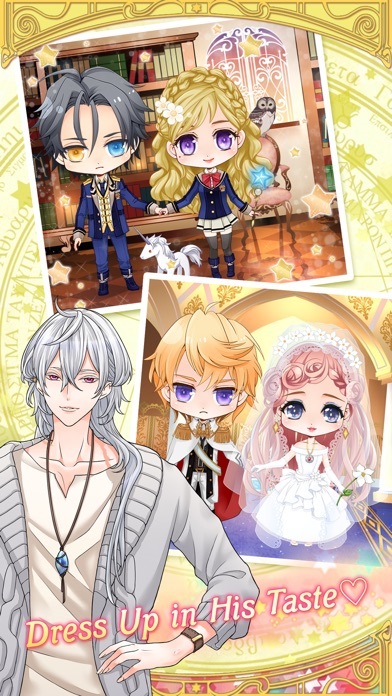 this otome game is so cute!! the characters are charming and the graphics are lovely! the one thing i like about this app is all of the free and extras that you're automatically given!! it makes it easier to collect clothing and special backgrounds and scenarios. Fun stories and delightful characters - the MC can be a bit of a klutzy moron and it’s easy to rack up a bill if you’re not paying attention, but overall it really is an enjoyable way to pass time. Ahhhhh, I love this game. Great game, characters are lovely, storyline is intriguing, and the avatar items are adorable. Only issue is the unfair treatment amongst all of the suitors (devs clearly favour Klaus). wish they were all treated the same, but regardless the game is addicting. This game is great but be mindful that you will have pay for coin. I love this game! My only complaint is that it’s not as steamy as some of the others and some stories I never finished because they were a little boring. But overall it is a fun distraction.